Momma Told Me: They'll be days like these. When I first began this blog there was an empty space with a cursor blinking on my screen https://www.__________.blogspot.com. In that space I wrote "mommasaiddayslikethese," because Momma Told Me was originally a space where I could escape the 'in real life' moments of stress and hectic scrambles to just be real and creative online. 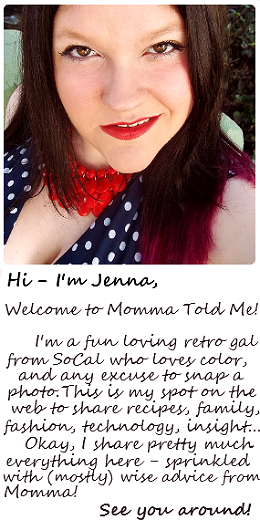 To sum it up, Momma Told Me was made to be a sort of creative journal and real life soap box for my life. I've always maintained that theme by sharing glimpses of my childhood through fun recipes or projects, but I don't often 'vent' about the goings on in my life. 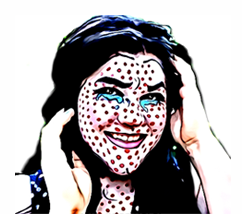 While I'm not about to do so in a sense of changing the initial intent of this content- I do want to address why I have been so spotty (At best) in my online presence over the past month. 2016 has not been very kind to me. From black mold under the kitchen sink, to a devastating hard drive crash (yes, I back up,) a home invasion (and second home invasion attempt,) to being ran off the road and replacing my tires and rims and only just days later (Thursday night) being rear ended to the point my insurance is calling my car a total loss, this has been an expensive and emotionally draining start to the new year. So, over the next few weeks you'll see content, some as much as a month old, shot before many of these incidents, or retrieved from backups and Geek Squad recovery. I apologize that the content may not make chronological sense- but bear with me; I promise to make it valid. 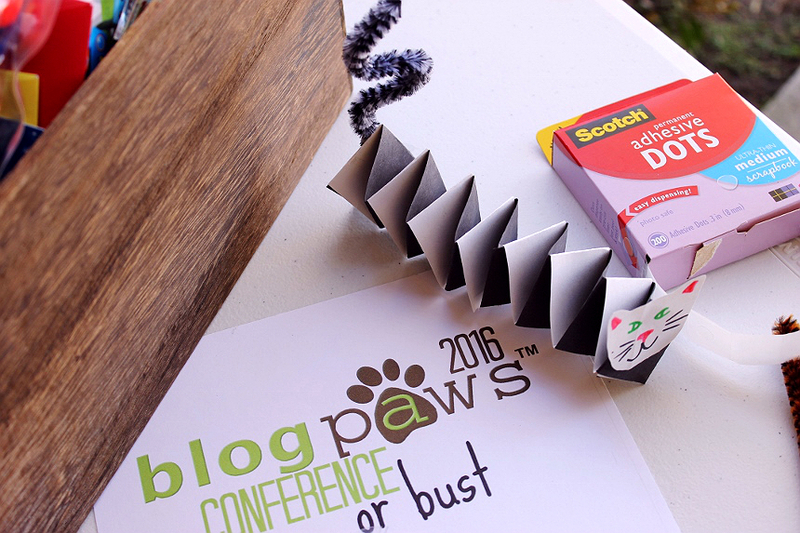 For example, you may recall I was preparing for a special #BlogPawsOrBust post through social media teasers over the course of several weeks. 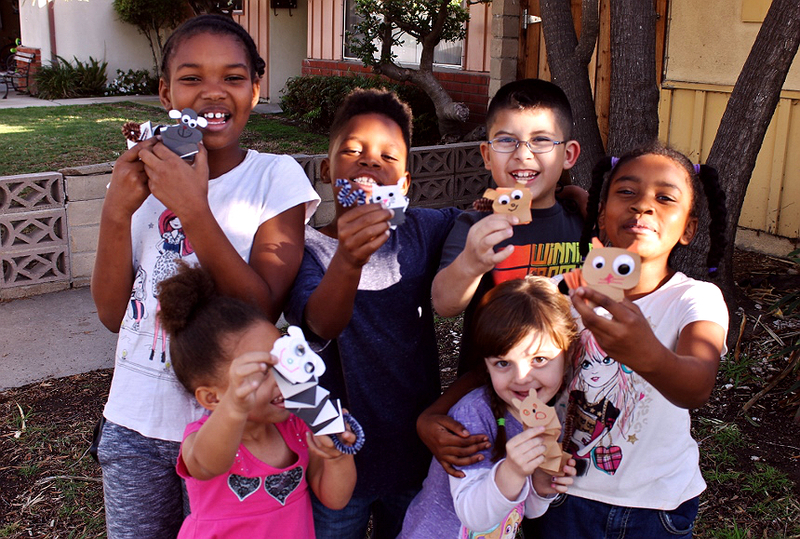 One of the projects I did, in an effort to show a thirst for social skills growth, and an enthusiasm for the discussion of animals, was share a special craft with our Thursday play group. 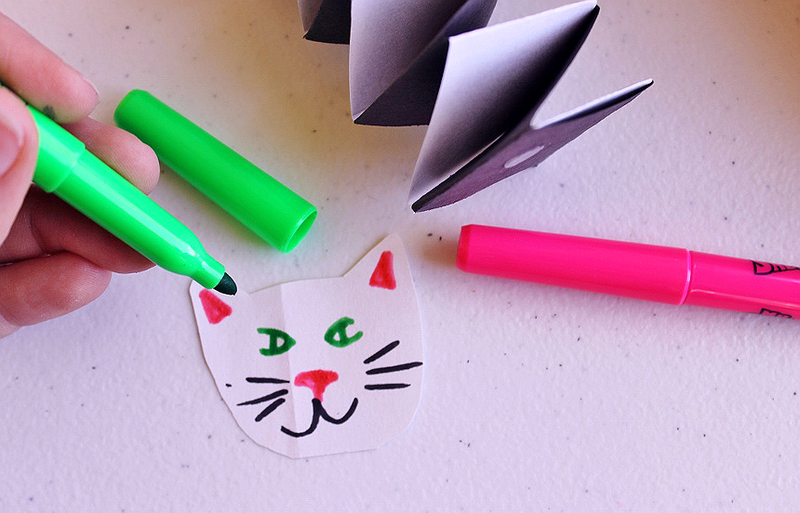 These accordion like cats and dogs are simple to make with just a stack of construction paper, scissors, markers, and tape. If you want to get really wild you can use googly eyes and pipe cleaners for some 3-dimensional accents. 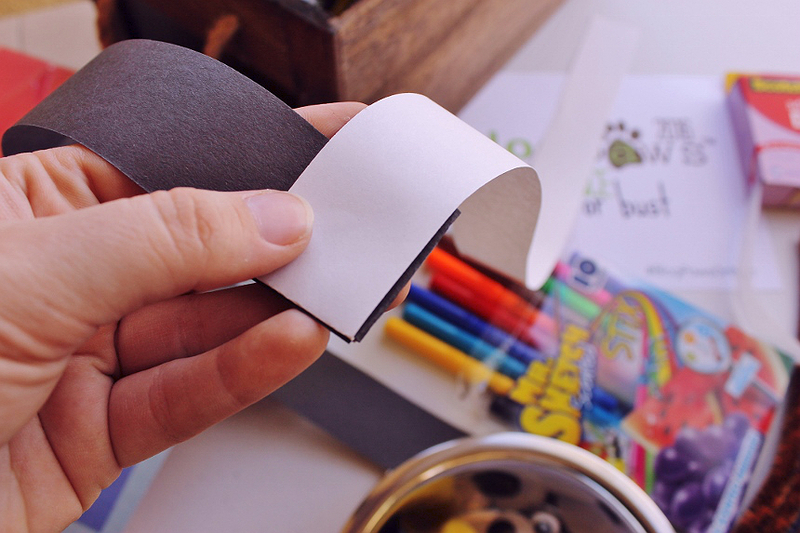 Begin by cutting your construction paper in 1.5" strips, lengthwise. Tape two of the strips together to form one long strip of construction paper. Use animal colors such as grey, black, white, brown, yellow, and orange and let the kids select 2 (long) strips of the color of their choosing. Two contrasting strips will make for a more visually interesting result once woven. Place the ends of the strips overlapping each others' corners, but to form a 'V' shape. Take the bottom strip and fold it tight and neat up over the top strip. Then fold the strip/color now beneath the top strip up and over the new top strip. Criss-cross folding the bottom strip up and over the top strip until you have reached the end of your strips. Trim any excess. You may wish to tape the strips together at the very end to add a little extra stability. 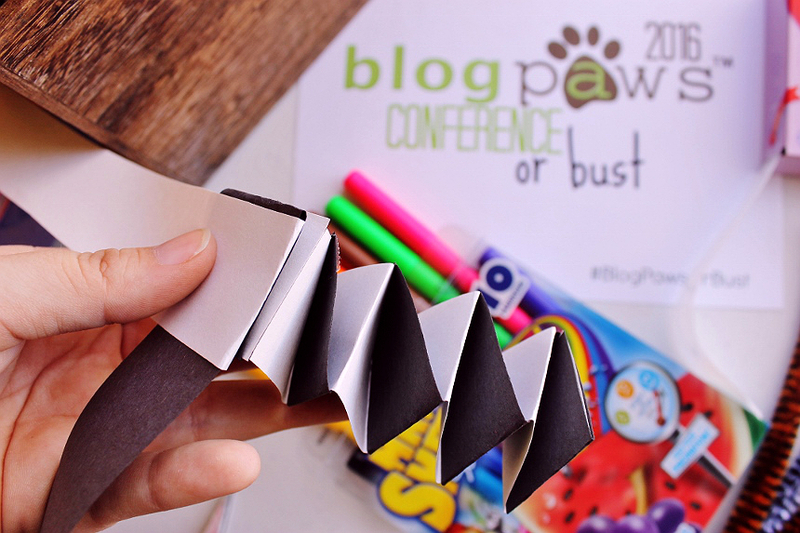 Grabbing each end, gently pull away from the other to create an accordion style paper craft. Using the leftover construction paper cut out and faces and decorate them with markers. Use googly eyes for an added bit of fun or go 'au natural' for a more organic art project. 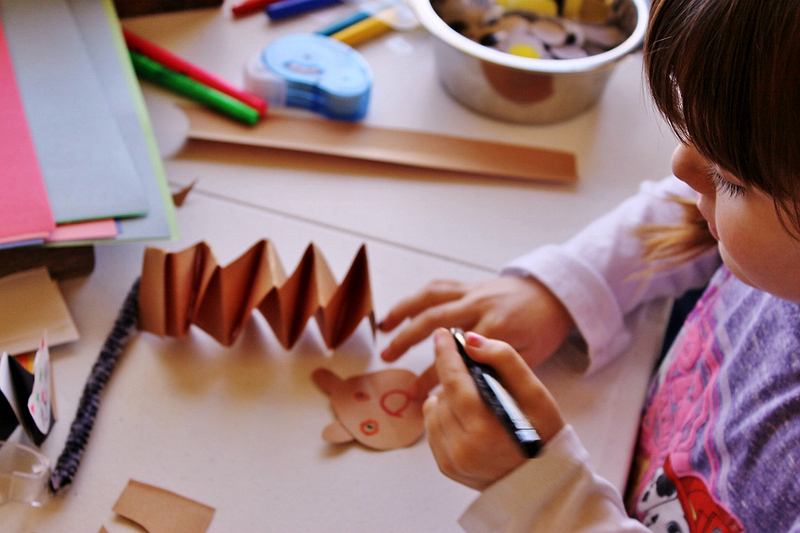 Cut tails from leftover construction paper or use pipe cleaners twisted and curled for fun tails with added character. Don't forget the most important part of this project- talking about pets! Ask each child to share their decision making process as they choose the body colors (strips,) face shape, and tail for their pet. Encourage the use of vocabulary and descriptive words as well as storytelling- A round robin of sharing time works great to show off these projects! The Littles often give me a lot of flack for having projects that are too girly or too masculine- but everyone loves pets! This is one project that was a hit from the beginning and incredibly easy for even the 3 year-old in our group to do! 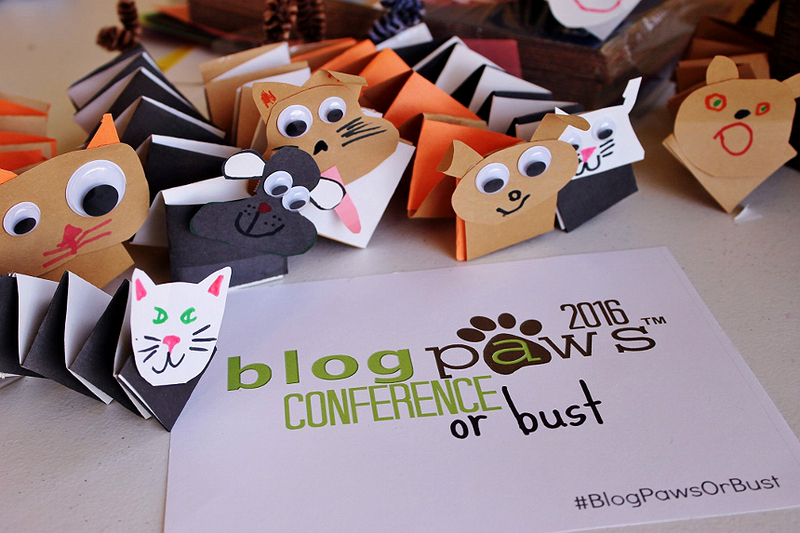 Of course everyone wanted to know what the Blog Paws Conference was so I explained it as best I could to a group of kids: Blog Paws Conference is a little like going to camp, and being able to bring your pets- you get to travel to a new place, make new friends, learn a lot of new skills, and take a lifetime of experiences home, all with your pet by your side if you're lucky. Let's just say there might be a future attendee or two in the bunch! 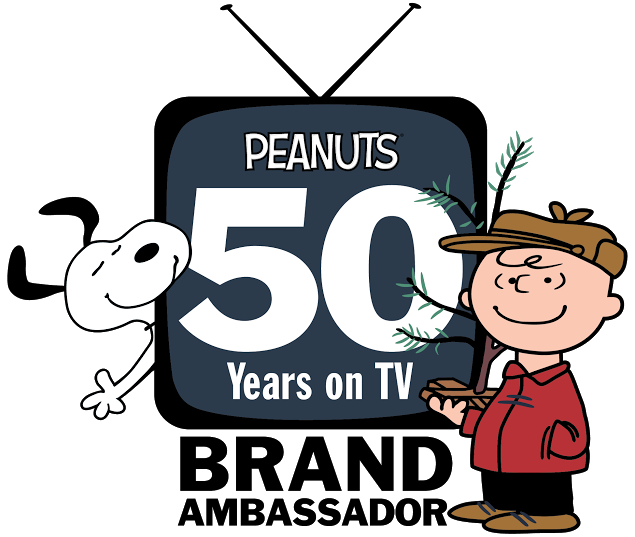 What Daughter Says: I've been blogging for 5 years. 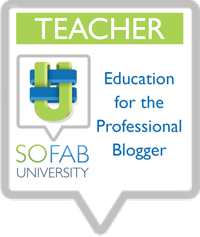 I blog because I love it. I love the people I meet, the recipes and projects it inspires, and the family I've discovered online. Year after year my blog remains a constant. It is there no matter what is happening here. And I find that comforting. Wow - you have not been having a good 2016 so far :( sorry all that has happened to you. I really need to back up my computer more, as well, so I'm glad you had backups of everything. 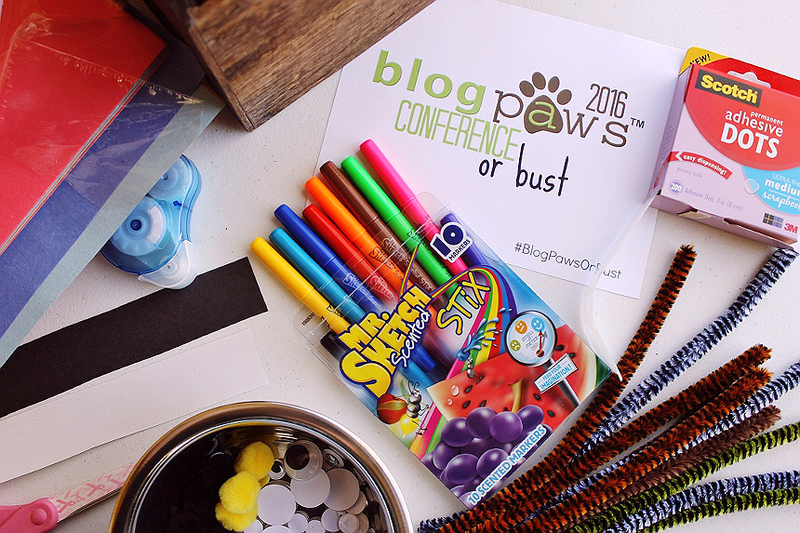 BlogPaws sounds like it would be fun! Oh goodness, I had no idea you were going through so much and it's only March! It seems like a lot of that is going around sadly. My health hasn't been the greatest and, on our way home last night, we hit a deer and it's going to cost a pretty penny got get fixed :( So I understand things happen! Glad to hear that you're trying to get back into the swing of things, though! That craft is beyond adorable! so darling. I love the story behind it and how "Pets" are not masculine or feminine. BOy crafts or gender neutral crafts really are quite hard to find. So this is a real "Pinner" so to speak. LOL. What fun. That looks like a neat craft for the kids to do over Easter break.